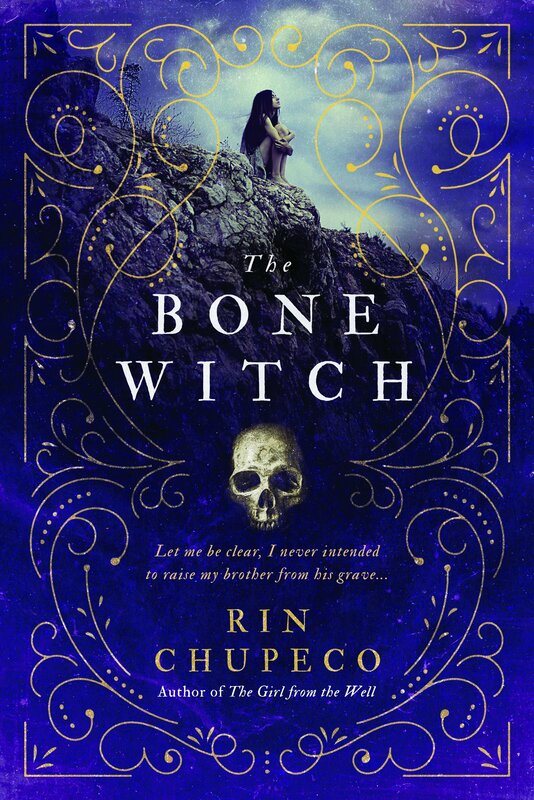 The Bone Witch by Rin Chupeco is a young adult fantasy novel about a girl who realizes she has special powers when she accidentally raises her dead brother from the grave. And so sparks a journey as we follow Tea in her new life. She is recognized as a dark asha (otherwise known as bone witch). These are few and far between in this kingdom. She is taken in to be trained, leaving all of her family behind except her recently-resurrected brother. He and Tea are linked, and he needs her to survive. When she dies, he does as well. A dark asha’s main job is to raise and put down daeva, monsters that wreck havoc if left unchecked and must every few years to through this process before they rise on their own. Asha also entertain nobility, serve as bodyguards and are good fighters, and wield magic helpful to the kings. There are various kingdoms, which currently are at peace and those who wish to wield more power known as the Faceless who remain hidden. An unknown Faceless has raised a daeva dragon. Tea’s teacher is too ill to put the daeva down so Tea must do so herself with a little under 2 years of training. She knows she can die, but she cannot allow other innocents to die either. “Duty means doing something not because you like it but because you’re supposed to,” Tea’s brother, Fox, tells her. Great read. Very stock in terms of good guys, bad guys, love interests, and growing up themes. Two stories are being told at once: Tea is narrating her story to a storyteller while she is in exile on the Sea of Skulls. Fascinating perspective. Great details. Fun! Lovely review… particularly liked the quotes at the end.